Over the last few years Sunny Beach has become an extremely popular holiday destination. Many hotels now offer “all-inclusive” deals. On occasion, the standard of these hotels may fall below par and hygiene problems can occur. This can lead to outbreaks of illness which cause unpleasant ailments including diarrhoea, sickness and stomach cramps. If you have been ill as result of poor hotel standards at Sunny Beach then contact us to see if you can claim compensation. Sickness bugs such as Salmonella, Campylobacter and E-Coli can thrive in hotels where food is not suitably refrigerated or cooked, where kitchens are not kept clean or where cross contamination is allowed to occur. Dirty or unhygienic toilets, an absence of running hot water and soap, poorly maintained swimming pool facilities and infrequently cleaning eating areas can also be a cause of holiday sickness. If you booked a holiday with a tour operator, including Balkan Holidays, Thomson Holidays, First Choice, Airtours or Thomas Cook then contact us now to see if you can claim. 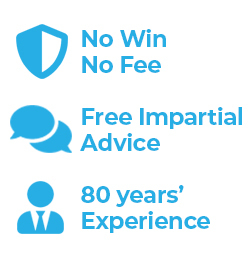 Our experts will provide FREE honest advice and straight forward advice and you are under NO OBLIGATION to pursue a claim. The largest holiday resort in Bulgaria, Sunny Beach is known for its shops, bars and of course its beaches, which stretch for around 6KM. The hotels below are regularly monitored for signs of illness that may be suggestive of poor hygiene standards, including Salmonella, E.Coli, Cryptosporidium and Campylobacter. E. coli Fact: Most types of E. Coli are harmless and regularly live inside the guts of healthy humans. E. Coli O157:H7 however can cause profuse, watery diarrhoea and produces harmful toxins that can cause significant illness. This strain can come from consuming undercooked meat, poorly washed vegetables, untreated milk or from drinking contaminated water. When taking legal advice it is important that you receive accurate information from a lawyer that specialises in that area of law. Simpson Millar’s Holiday Claims Specialists deal exclusively with Travel and Holiday related claims and have a track record of getting results for holidaymakers whose holidays have been effected by illness. If you travelled on a package holiday and suspect that you have been ill due to poor accommodation standards then why not contact us to see if you are entitled to compensation? Our specialists are on hand to help. Please contact us by telephone on 0808 145 1353 or via the web enquiry feature on our website and we will give you free and honest advice about your potential entitlement.